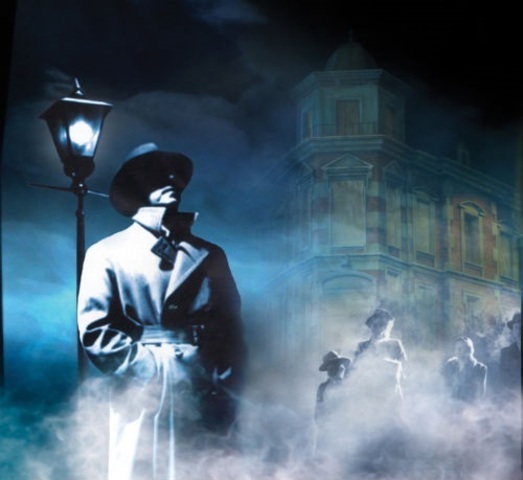 An Inspector Calls is set. The play is set in Spring, 1912. 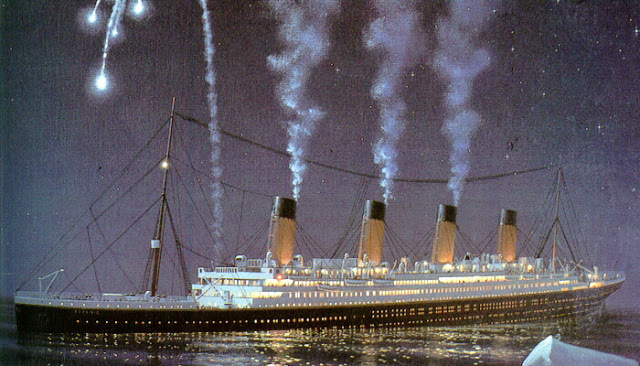 Mr Birling: "A friend of mine went over this new liner last week - the Titanic - she sails next week - forty-six thousand eight hundred tons - forty-six thousand eight hundred tons - New York in five days - and every luxury - and unsinkable, absolutely unsinkable." 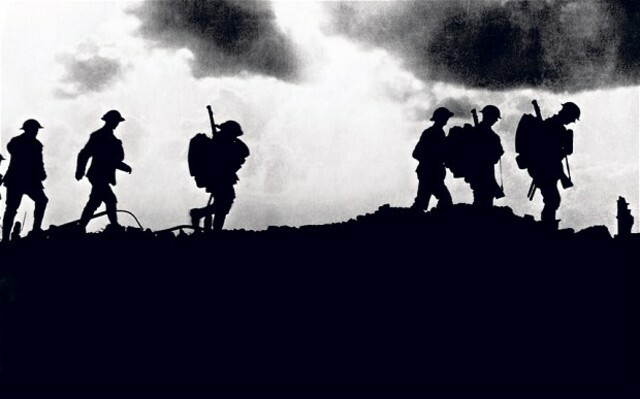 The Great War: World War 1 begins. Mr Birling: The world's developing so fast that it'll make war impossible, Look at the progress we're making. In a year or two we'll have aeroplanes that will be able to go everywhere. On the 1st April 1915, French pilot Roland Garros mounted a machine gun to an aeroplane and on his first flight shot down an enemy plane. Mr Birling: There'll be rapid progress everywhere...except of course in Ruussia, which will always be behindhand naturally. 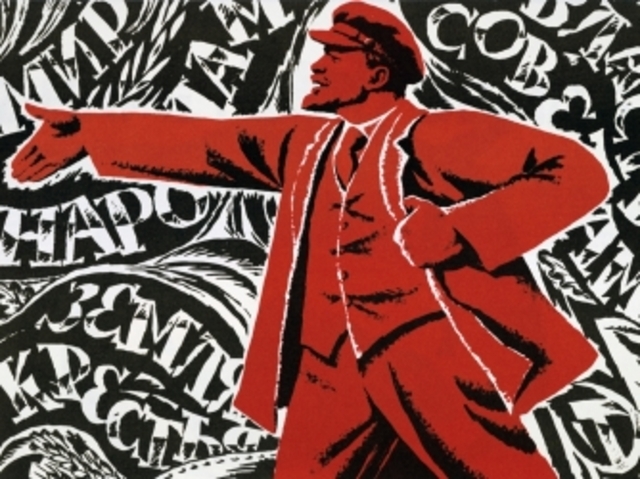 After a series of revolutions in Russia in 1917, the Tsarist government was dismantled, leading to the establishement of a Bolshevik (Communist) government., and eventually the formation of the USSR in 1922. Gas attacks in the Great WarHaving served in the trenches since 1914, and being wounded 3 times, Priestley is declared unfit in 1917. 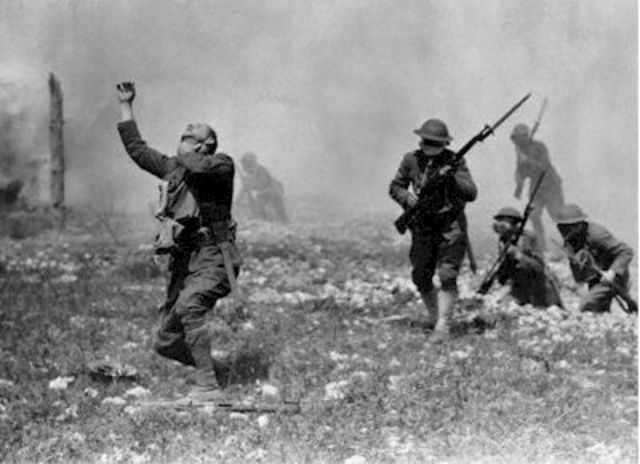 "The British command specialised in throwing men away for nothing. The tradition of an officer class, defying both imagination and common sense, killed most of my friends as surely as if those cavalry generals had come out of the chateaux with polo mallets and beaten their brains out. Call this class prejudice if you like"
Mr Birling: ...we're in for a time of steadily increasing prosperity. 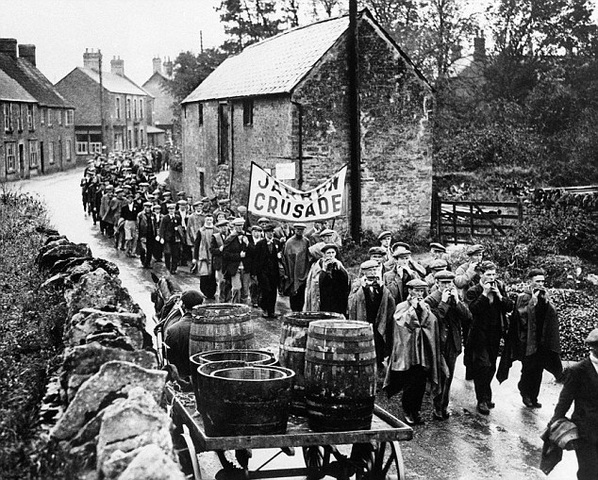 Despite Lloyd George promising returning servicemen that they would find "a country fit for heroes to live in", unemployement rose sharply and continued high throughout the 1920s. 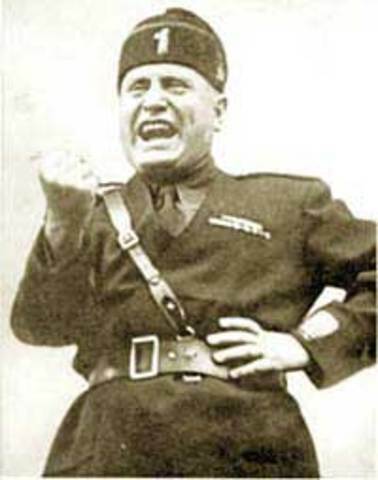 Mussolini Marches on RomeBenito Mussolini, "Il Duce" of the Italian Fascist Party, marches on Rome and is made Prime Minister by King Emmanual III. 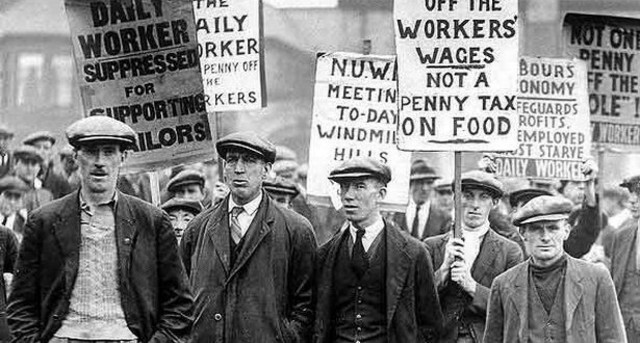 The General Strike and the Hunger March Mr Birling: ...just because the miners came out on strike, there's a lot of wild talk about possible labour trouble in the near future. Don't worry. We've passed the worst of it. Mr Birling: And we're in for a time of steadily increasing prosperity. The Great Depression of 1929-32. Following the collapse of the American Stock Market in October 1929, Britain's trade also collapsed, its exports falling by a half, and unemployement more than doubled. The Means Test and the Hunger March of 1932There had been several Humger marches before, but this was perhaps the one of the most significant. A group of marchers left Glasgow on 26th September 1932, and arrived at Hyde Park in London with 100,000 marchers. They carried with them a petition with a million signatures asking for the repeal of the Means Test. The Metropolitan Police mobilised 70,000 police officers, and attempted to break the demonstration up with violence. They prevented the petition being presented to Parliament. 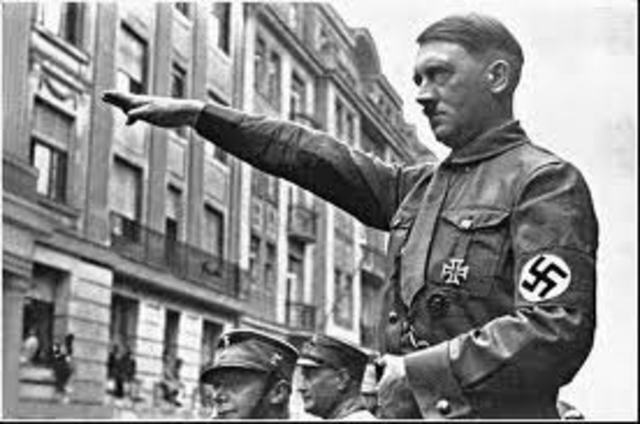 Adolf Hitler, 1934Adolf Hitler became German Führer August 2nd, 1934, after being appointed Chancellor in 1933. 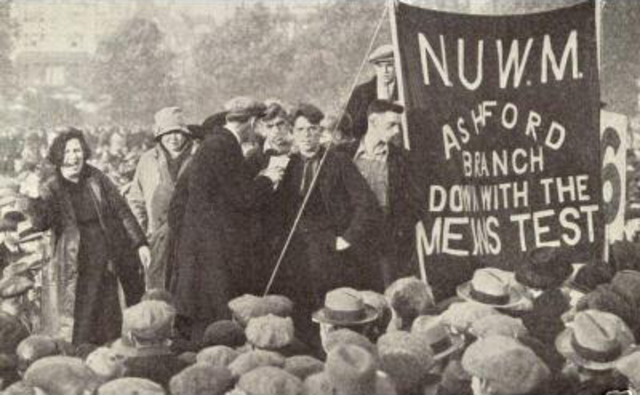 The Jarrow MarchThe Jarrow March (or Jarrow Crusade) was in protest of the unemployment and consequent poverty and high infant mortality in Jarrow, near Newcastle. The 207 marchers walked from Jarrow to London, a distance of 300 miles, carrying a petition, signed by 11,000 local people, in an oak casket. 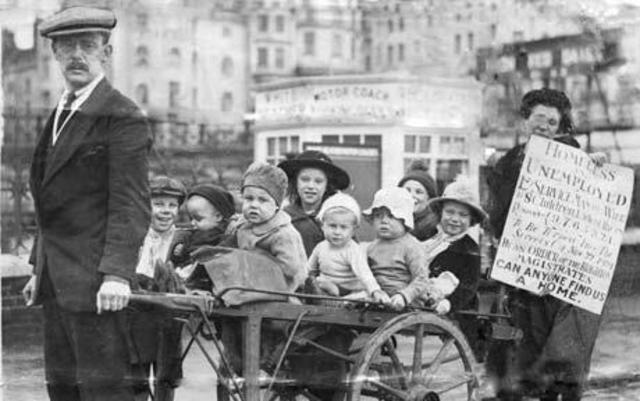 They delivered the petition to Westminster; the Prime Minister, Stanley Baldwin, refused to meet them. Later that year, a group of 200 blind people from the area followed their route. BBC: The Power of Art - GuernicaPicasso's GuernicaThe world's first major air-raid aimed at civilians took place on the 26th April 1937. The German Condor Legion bombed the Basque city of Guernica: an act often regarded as the start of the "terror bombing" strategy of the Luftwaffe. The Inspector: And I tell you that the time will soon come when, if men will not learn that lesson, when they will be taught it in fire and blood and anguish. 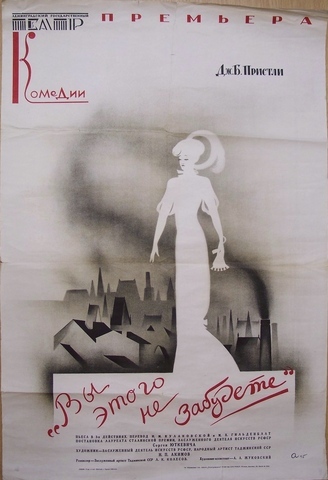 "We don't live alone. We are members of one body. We are responsible for each other. And I tell you now that the time will soon come when, if men will not learn that lesson, then they will be taught it in fire and blood and anguish." 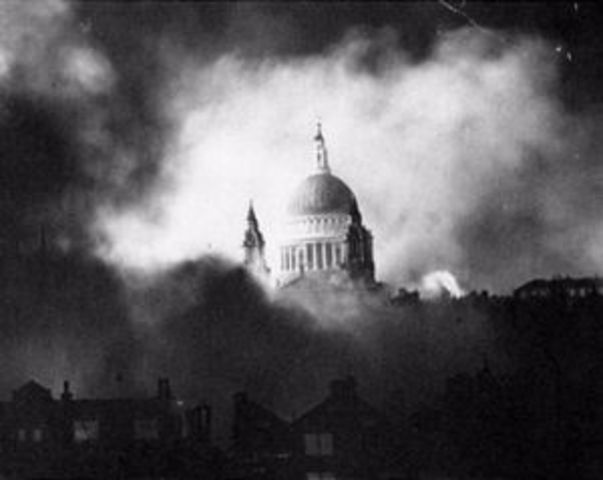 British Pathé newsreel of the Blitz"fire and blood and anguish" Intensive bombing of London (and other British cities) by German aircraft, colloquially called "The Blitz" (German "blitz"="lightning"), took place between 7 September 1940 and 21 May 1941. 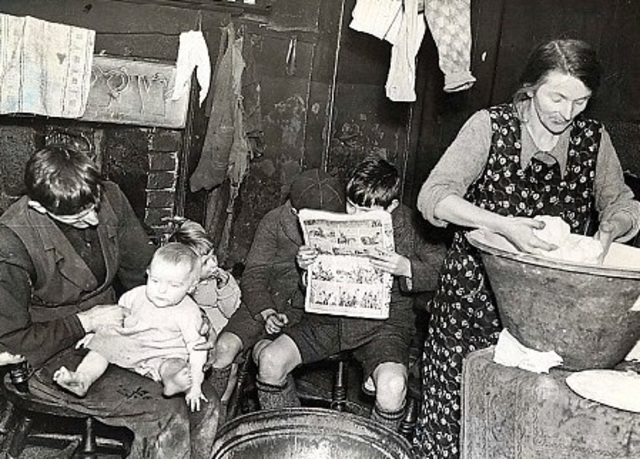 A million London homes were destroyed, and 20,000 civilians killed. 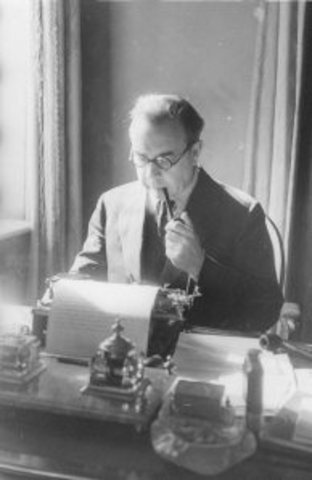 J.B. Priestley wrote An Inspector Calls in 1944. 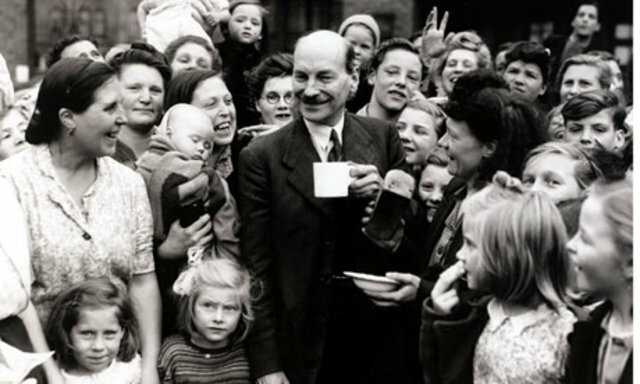 Mr Birling: To hear some of these cranks talk and write now, you'd think everybody has to look after everybody else... Clement Attlee's Labour Party defeats Winston Churchill's Conservatives, and begins the creation of the Welfare State and the National Health Service. 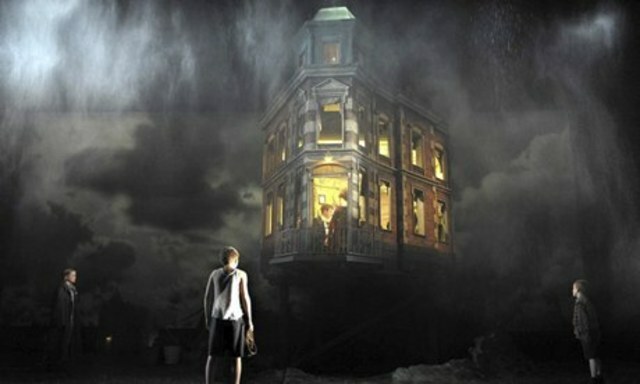 An Inspector Calls had its first UK production in 1946, at the New Theatre, London. Cast: Ralph Richardson as Inspector Goole, Harry Andrews as Gerald Croft, Margaret Leighton as Sheila Birling, Julian Mitchell as Arthur Birling, Marian Spencer as Sybil Birling and Alec Guinness as Eric Birling.